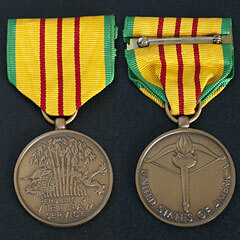 The award of the Republic of Vietnam Service Medal was made effective from 1 October 1965. 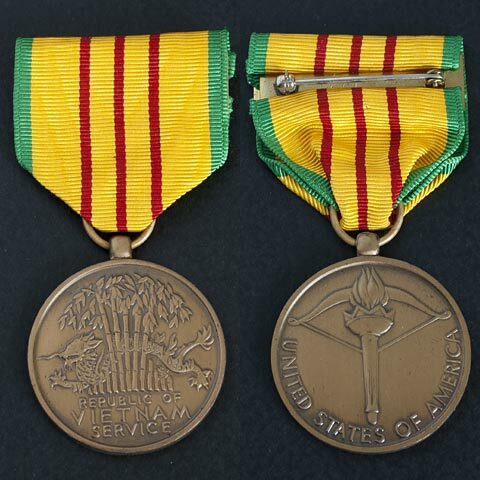 The medal is issued to recognize military service during the Vietnam War and is authorized to service members in every branch of the U.S. Armed Forces. 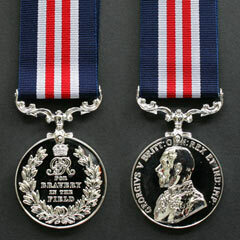 The Medal is typically presented to any service member who served on temporary duty for more than 30 consecutive days, or 60 non-consecutive days. 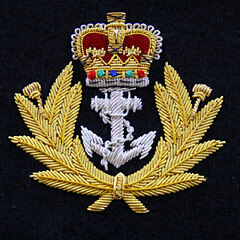 Medal Originality is unconfirmed, but the pin is stamped with a diamond mark and GI.